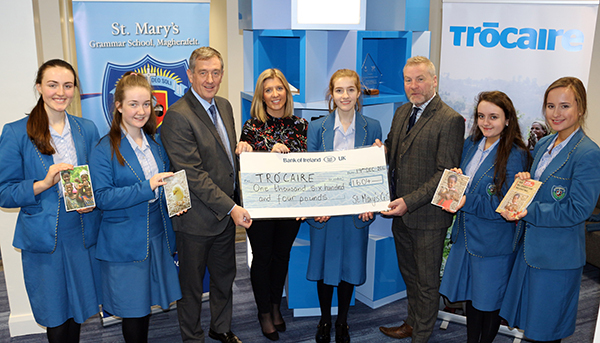 David O’Hare, Internal Communications Specialist for Trócaire, visited the school to receive the school donation of £1604. Having recently returned from humanitarian work in Sudan, David spoke to a number of pupils to express gratitude for their fundraising efforts with the global gift campaign and to explain how the sale of these sustainable gifts will make a real and meaningful change to individuals and families in developing countries. through the Gifts of Love initiative. Included in the picture are Year 13 pupils who promoted the sale of gifts throughout the school, Miss A. Hagan (Senior Leader)and Mr F. Dunlop (Vice-Principal).